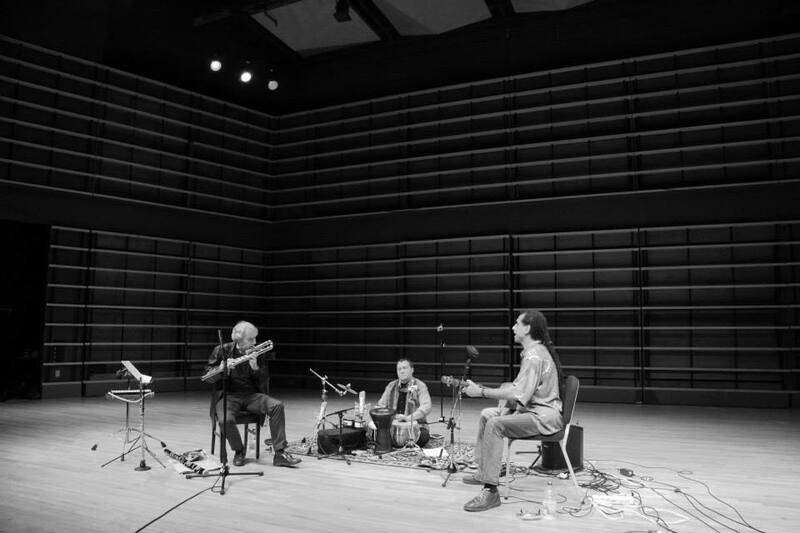 We are dealing here with a rare, astonishing music; a music full of mystery; a music that delicately blends Arab-Amazigh sounds. It also stems from a primordial force since it is connected to earth, its element. 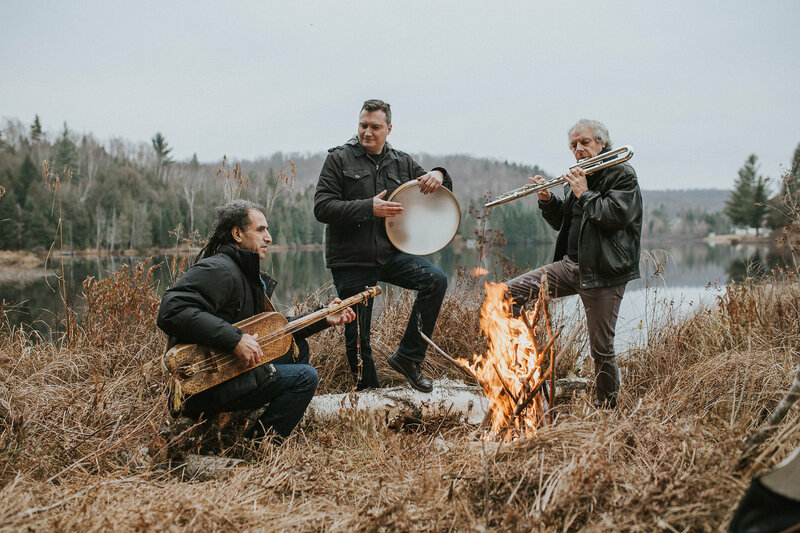 It is the encounter of two virtuosi: Bertil Schulrabe in percussion, Guy Pelletier on flute, and a master completely immersed in his Gnawa tradition- Said Mesnaoui. These three artists bring a decisively novel approach to the Gnawa tradition- a touch that never loses sight of its ancient roots. The magic of Gnawa is both alive and daring . Gnawa is ideal for modernity. In spite of its sheer complexity, it (in our view, this only confirms its great attraction) invites you to approach it without shyness. No matter what lights you shed on it, its charm is made more attractive. Strong music, spell binding music, dancing music that addresses both our hearts and our minds; concert music that catches our attention and engulfs us in its mysterious labyrinths. Music whose roots and infinite foliage allows us to explore it in depth. 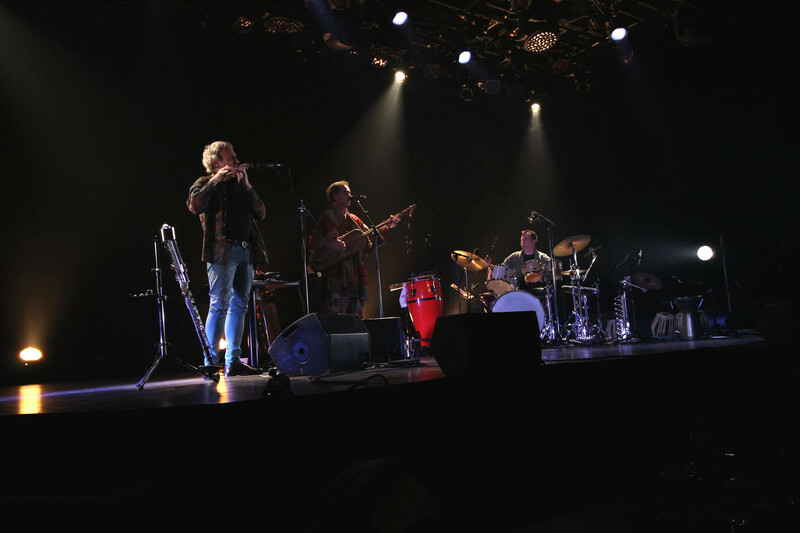 Nomadic music that invites us to a long trip. Our goal is to share it with artists from different backgrounds. In addition to our own repertoire, we seek to collaborate with contemporary musicians, composers, improvisers and performers. We also would like to develop shows that bring together dancers, visual artists, stage directors in a collaborative effort that offers the public the complex connections we weave between the G’nawa tradition and our own contemporary vision.